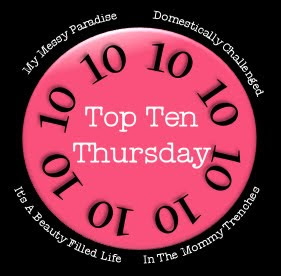 When I am not on blogger what top 10 websites can you find me on? 1. Facebook-Everybody I know is on there! Plus it's waaaaaay better than MySpace. 2. The Madness of a Mom-a private message board for moms. 3. armstrongmywire.com-My homepage, where I read all the news articles and check my email. 4. Yahoo-gotta check some more email!